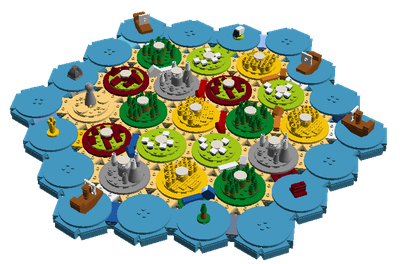 The Settlers of Catan is a widely popular board game designed by Klaus Teuber with elements of cooperation, strategy, and resource management. Immediately after being introduced to Catan, I decided that it would a perfect game for adaptation to LEGO. 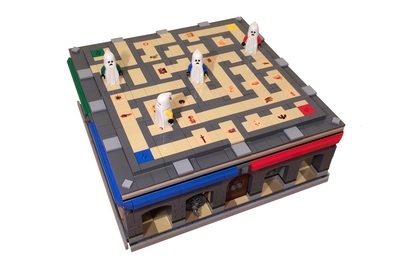 My goal in making this set is to recreate the detail and scale of the original base game, while still managing a reasonable part count and, (most importantly,) keeping the game enjoyable. I have been sitting on this project for nearly a year now, but that time has allowed me to test out this game with my friends and family. 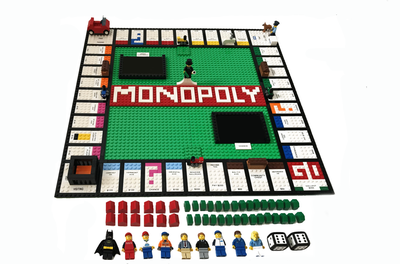 And the result is a fully-playable 100% LEGO version of this classic board game. 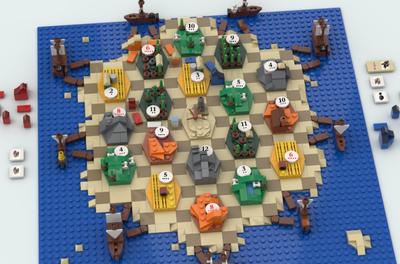 In pursuit of a 100% LEGO version of Catan, I had to get creative for a few components of the game. 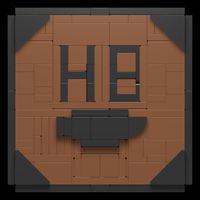 For example, the resource cards are exchanged for resource chips in the form of 2x2 tiles. To maintain secrecy, a player's chips are stored in their resource chest, and a player acting as a knight/robber must remove a resource from this chest without looking inside. Other changes to the game are quite minor, such as different designs for the development cards and achievement cards.